I'm going to share some secrets of Online Social Butterflies and how they win Best Coaching Blogs, each year. You see, mastering social media cross pollinates with mastering coaching. That's my evil, um... divine plan! First, what's a social contest, anyway? It's a win-win online contest that leverages everyone's social reach (friends, contacts and followers on sites like Facebook, Twitter, LinkedIn, and Google+) to attract large audiences for popular voting. Ultimately, everybody wins because contest visitors discover more great coaching bloggers when they visit the site. Wait! Does that mean coaching bloggers could lose potential clients to their competition? Nope! I'll explain, uno momento. If you want to see Online Social Butterflies in action, follow the Best Coaching Blogs 2013 List on Twitter. You can pick out the front-runners without even visiting the contest, because they regularly tweet about the contest. Also, search for hashtag, #BestBlogs for related tweets. Best Coaching Blogs invites coaches who blog on coaching topics to enter their blogs and each year, both new and established blogs win top honors. The winners actively 'play the game' by inviting their readers, colleagues, clients and social reach to come vote for them. People can vote as often as they like, so the contest measures more than just the number of people who like a blog, it also measures passion: both the voters' and the bloggers'. Passion is a big deal in coaching. It's what ignites clients and creates success. But competition? Not so much. At least not for a lot of clients. Cooperation, mutual support, acknowledgment, belief in others; that's the stuff of coaching. And it's also the stuff of social media mastery. Both realms, coaching and social media, require that we get our little egos (that part in each of us, that always wants to WIN!!) out of the way and make it all about other folks - without turning ourselves into robots or doormats. Winning Best Coaching Blogs usually requires more than just a great blog, although great writing and content definitely help. Winning requires the right balance of competition and cooperation. I don't know an English word for that, so I made one up: coopetition. Start early. Be the kind of person who supports and champions others, as a matter of course. The more history you have doing this, the more people will want to do the same for you. Wait until you need something from them (like a vote) and it could backfire. Embrace your selfish reasons. Yes, it's totally okay to be for yourself. Just don't be that way, only. If you try to deny your agenda, people won't trust you. If you fail to express it, people will walk all over you. So go ahead and ask for people's votes. If you've been supporting them, they'll want to help. Even if you haven't, they'll respect your request. If you're already supporting others and clear with them about what you want, you're ready to play a fun game. In Best Coaching Blogs, that could mean leaving comments on competitors' blog entries that acknowledge what's great about those blogs. It could also mean voting for your competitors (! ), or even telling the world why they should vote for your competitors (!!). You could even ask your competitors to vote for you (!!!). This can get icky and manipulative fast, though, so take care. Why is coopetition a winning strategy? Because being a model of coopetition is extraordinarily attractive. It seems like people who act that way should lose out, but they win, instead. The bloggers who do it best always attract more voters, readers and clients, rather than lose them. So it's about a lot more than winning a contest. Trust the process. This is hard for high achievers, but you really can't control most of the moving parts in this process; you can only influence them. Resist the urge to pester people, or to obsess about whether or not all your votes get counted. Not even Zuckerberg has total control of Facebook. Even in life, it's the folks you support who 'vote' for you and what you want. That's the coopetive advantage. In Best Coaching Blogs, it's the finalists who pick the top winners, so those who play the game well, immediately become the biggest influencers. But 'winning at any cost' is a losing strategy in this contest, as well as in life. How does this relate to coaching? People who can let go of their need to win, to be right, to never fail, and who can support and champion others, make great coaches. Entering Best Coaching Blogs is a 'game theory' approach to coach development. If you're interested in becoming a great coach, be sure to participate. Vote here through August 31st. Enter here only through July 31st. Guest post by Melissa Heisler, 3rd Place Winner of Best Coaching Blogs 2010. I always loved the quote above. When I experienced people who wanted to prove this or that “truth” about evolution, science, health, the stock market, or any topic, I held on to this quote. To me it released the pain of having to determine the singular right answer. However, the other day it was infused with an even more important meaning. Lately I had been obsessed with the answer to life, the universe, and everything. My little pea-brain wanted to uncover why we are here. What is our purpose on this earth? Previously a friend recommended Anthony De Mello’s book Awareness: The Perils and Opportunities of Reality. I had read 90% of this very interesting and deep read conveyed in a soft voice in March and for some reason picked it up again the other day. In the last few pages, I came across this wisdom. This was the final puzzle piece for me. I had spent my life trying to undercover the meaning of life. Was it this career or the other? Was it family or romantic relationships? Was it hedonistic joy or solemn prayer? Was it self-care or servitude? Was it margaritas and the Simpsons cartoon? As I grew and became more wise, each option was seen through. It was seen as a thing of itself, not true meaning. I tried to play the game that I just had to find a more noble and less self-serving thing, action, career to find meaning. But those felt hollow too. Thinking that life, all of life, is a mystery opens up not only a new world of understanding but a new way of being. There is now an immense joy I had never experienced before. Being stuck in traffic, wanting a new pair of shoes, or checking off my to-do list no longer have significance and precedence in my life. Now I try to focus every moment on soaking up the mystery. How does my brain communicate to my fingers to type these words? How does a cold front wash across the plains to create raindrops to feed my plants? How is it that I can feel the joy or sadness of others deep in my heart even before they speak a word? Take a day to look at the world as one of mystery. See how it changes your life. Namaste. Melissa Heisler, personal and business coach for It’s My life, Inc., loves to help small business owners, direct sales professionals, and home based businesses thrive during difficult times. 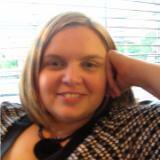 Visit Melissa's entry in the Best Coaching Blogs 2012 Contest Here. 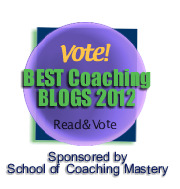 Guest post by Jen Waller, Top Ten Winner of Best Coaching Blogs 2011. I didn’t intend to become a coach, run my own coaching business or be my own boss when I first started out learning about coaching. I just found it increasingly fascinating and enjoyed playing and discovering. It does mean that it’s difficult to pinpoint the precise moment in time when I first started coaching - it just naturally evolved. I do know that it happened over a decade ago. There’s mistakes I’ve made, things I could have done differently and action I could have taken faster. However, I’m really comfortable with the choices I’ve made and the path I’ve taken as it’s got me to where and who I am now. 1. Coach people from exactly where you are. Having all the coaching knowledge in the world is not going to make a difference to clients unless you are using them by actually coaching people! Some of the best learning experiences I’ve had have come from working with clients. That does not mean I’m suggesting don’t ever seek and take formal training courses. I personally believe that it’s a duty I have to my current/future clients to continually develop, explore and refine my work. I am suggesting that you don’t put off putting it into practice! I remember when I first started coaching that I had all these distracting thoughts running through my head. On other occasions it could be a running negative commentary on how terrible a question was, how something was clumsily worded or a general observation that my coaching was terrible and awful! - All a bit distracting to really focus and listen to my client in that moment. It was the realisation that coaching was not about me, it was about the client in front of me (or at the other end of the phone) that made the difference for me. It was the catalyst so that when I recognised those thoughts I could let them go, not get caught up in them and return my focus to my client in that moment – that thinking could be indulged in “my time”, as I thought of it, outside of that session. Funny thing was that the more I didn’t get caught up in those thoughts during a session, the less they seemed relevant when it came to “my time” outside the session! 3. Not knowing a “script” of questions in advance is OK, it doesn’t mean that you are not prepared. As you watch others coaching, attend trainings and generally read around the subject you will no doubt come across some fantastic questions. Ones that leap out at you so that you want to store them away to pull out in one of your own coaching sessions. At some stage in my early development I mixed up preparing for a coaching session with having to have a list of pre-planned questions complete with the order they would be asked in the session ahead. For a while I thought that the fact that I found that really difficult to create (and when I did, never stuck to the list in reality) meant that I was a terrible coach. I let it get in the way of how confident I felt with my coaching. What I had missed was the fact that this is a coaching conversation. I don’t generally pre-plan conversations in other contexts, I allow those to flow naturally in response to what the other person says. So why do it with a coaching conversation? Those questions stored away for future use still come in useful but they are used when it’s the “best fit” with where my client is at that moment. This new way of thinking also allows for the possibility that some of the most powerful questions utilise that individuals own language. If you like, questions that you create in the moment prompted by the answer just given – even if it is one similar to the ones you’ve stored away for future reference. I’ve selected just three out of many possible things I’ve learnt. These are just my experience, what about yours? If you are new to coaching, what can you take from this post that will make a difference to your next step? If you have more coaching experience, what would you share for your personal journey? Jen Waller is on a mission to support, nurture and encourage coaching skills and talents from non-coach to coach and beyond. Her coaching blog, Coaching Confidence, is a blog for coaches of all niches. Containing daily quotes, alongside posts covering topics such as personal development, coaching skills and resources. Each Friday the blog hosts a guest post covering a broad range of different coaching experiences, styles and approaches. 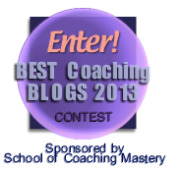 Want to enter Best Coaching Blogs 2012? If you've read blog posts on how to become a successful coach, you know that building your marketing list is a must. As the saying goes, 'The money is in the list!' But things have changed. Now that inbound marketing is replacing traditional marketing for small business, the marketing list is a must for local face-to-face marketing, as well as for internet marketers. Not only that, but social networks, like Facebook and Twitter, have permanently altered the definition of 'list', as well as how to manage a list and nurture more sales. So if you think the size of your list is what matters or that email is your principal marketing tool, you're missing out on some huge opportunities to connect with your potential coaching clients and get hired by more people. In short, you're losing money. What if you're a new coach who has no list at all, yet? You need a strategy for building one, right now. The good news is, you don't need a website to start building your list. 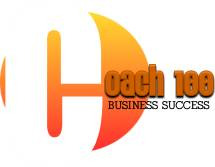 Everyone who attends this live tele-webinar will receive 2 free bonuses, plus an opportunity to save $100 on the Coach 100 Business Success Program.